With the rain falling outside our office windows right now, watering the Southern California hills perfectly, we thought it'd be a good time to share some photography from one of this year's sessions in the hills—building jumps and having fun on dirt bikes. 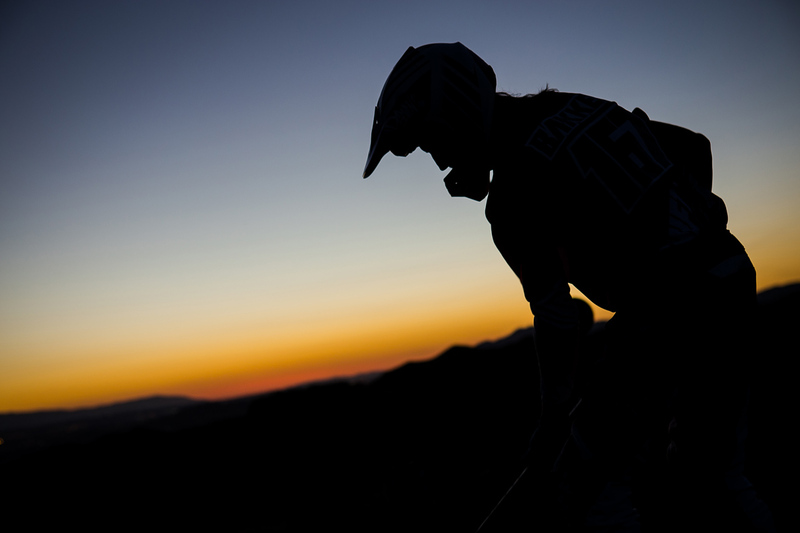 This week's photos are from earlier this year when Brendan Lutes received a phone call from Jeremy "Twitch" Stenberg inviting him to head into the hills and snap some photos of Twitch, Tyler Bereman, Darryn Durham, and Andy Bakken. 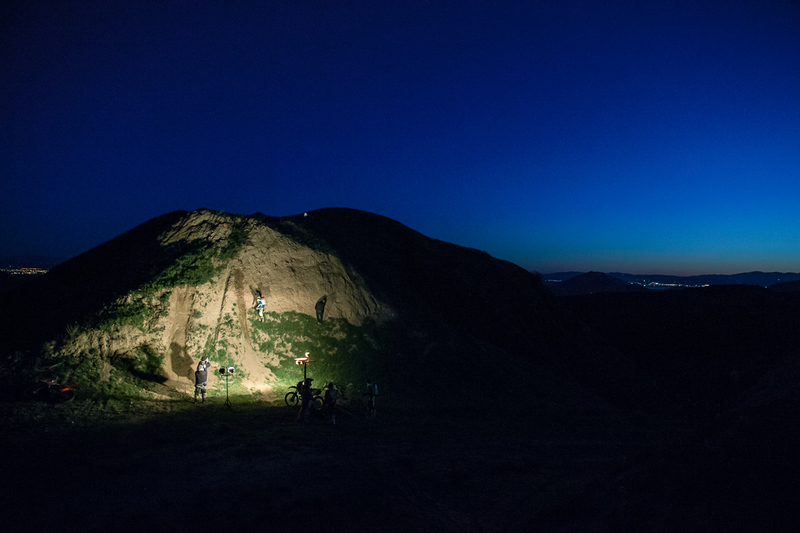 It wasn't just any jump, or any time of the day, though, they planned on carving a lip into the side of a cliff, and shooting well into the evening. Water packs, lights, generators, and strobes were packed into the hills and the crew shot until 9:00 at night. What they came away with were some unique images and memories that no one will ever forget. 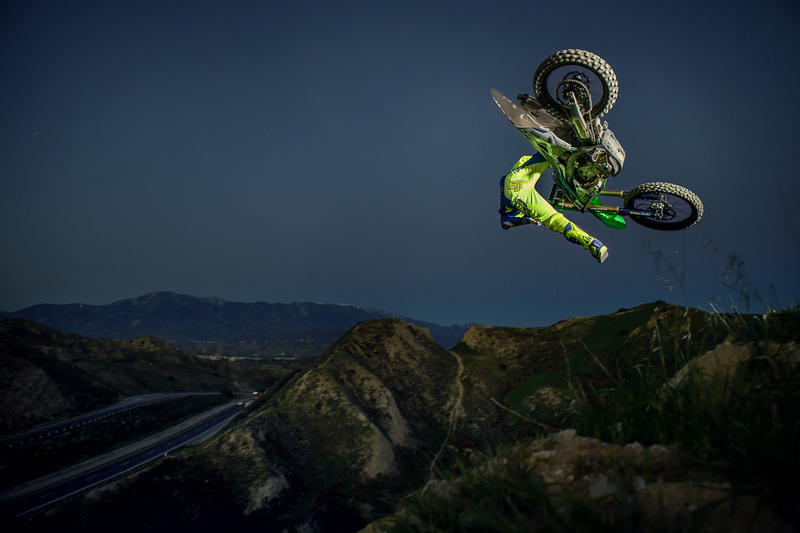 The full finished edit of the shoot can be seen on ESPN's Real Moto page. Andy Bakken prepping the jump. 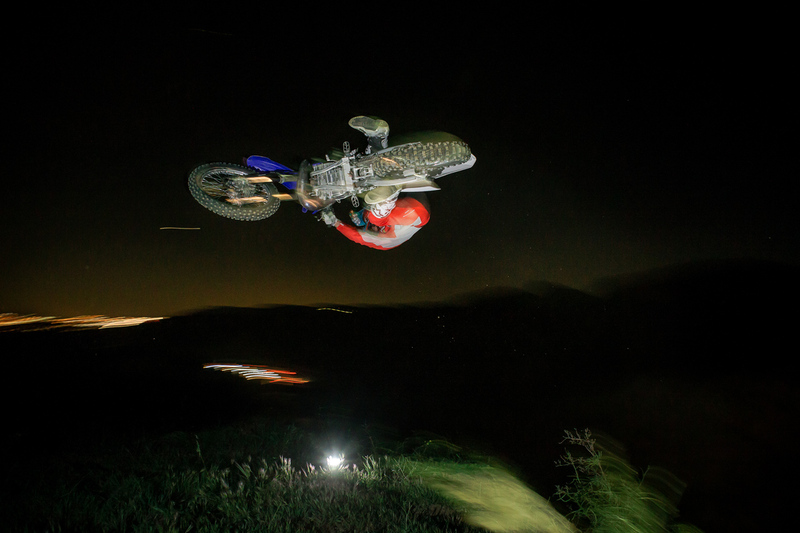 Tyler Bereman sending it in the dark.